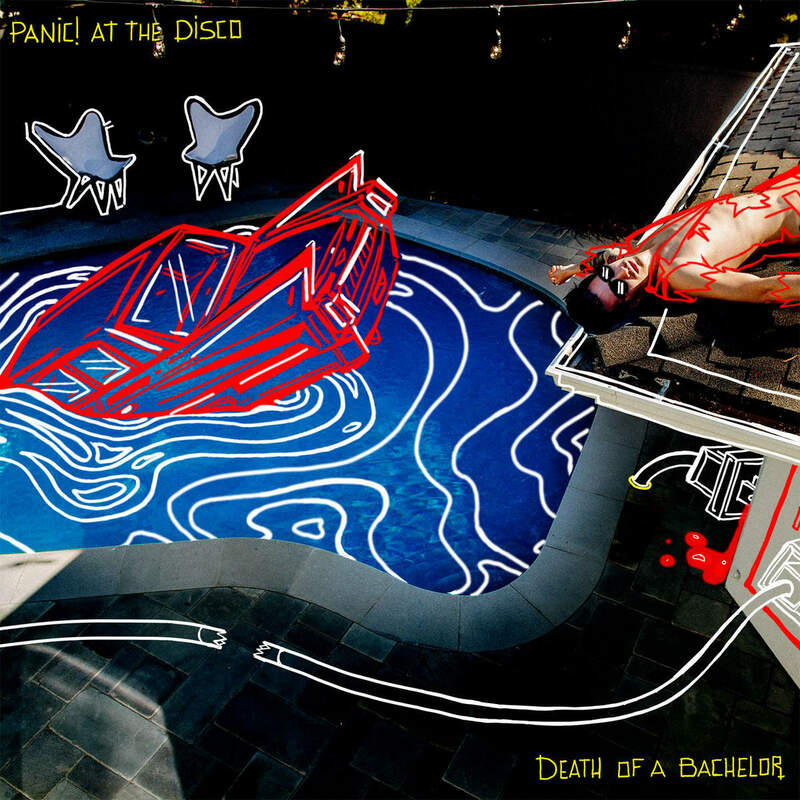 Nearly half of the tracks on “Death of a Bachelor” were available to download before the album was released. Panic performed “Victorious,” the first track on the album, at the 2015 Macy’s Thanksgiving Day Parade. Following the footsteps of Fall Out Boy’s singles, “Centuries” and “My Songs Know What You Did in the Dark (Light Em Up),” “Victorious” has the potential to become a sports anthem. “Hallelujah” was released as a single close to a year ago in April 2015. Fans have had this song for so long that it’s almost a surprise to see it on the album. However, it’s understandable why the band wanted to share this track so early. “Hallelujah” is one of the catchiest songs in the album and showcase Brendon Urie’s incredible vocals. The song I was least impressed with was “Don’t Threaten Me With a Good Time.” Panic tries to do what Fall Out Boy’s “Uma Thurman” accomplished by adding in a sample of B-52’s “Rock Lobster” but without the radio hit potential. It’s Panic at the Disco’s attempt at Katy Perry’s “Last Friday Night” with a narrative of waking up asking, “Who are these people?” Even still, this song is catchy and won’t be kicked off of my playlist. My favorite song that wasn’t available before the album’s release is “Golden Days.” I initially expected this song to be filler among all of the album’s early hits. However, this song fits the endings and new beginnings theme of “Death of a Bachelor” with impressive lyrics as well. This summer, Panic! At the Disco will be going on tour with co-headliner Weezer. Though the tour isn’t coming to Pittsburgh, it will be making stops in Scranton, PA and Virginia Beach. If you’re considering making the drive, I would highly suggest it. Didn’t even have to click on it to know this was an Amanda review! Hahaha I miss you, Christy! Glad to see you’re still lurking on the page.